In a statement by UNWTO about positioning tourism in the global innovation agenda, Secretary-General Zurab Pololikashvili noted that "this is only possible by bringing the private and public sectors together in a meaningful way and providing opportunities to share ideas". From governments to tourism entrepreneurs, investors and innovators, all stakeholders have a role and an opportunity to use technology with an aim to grow the sector. Kenya is for instance endowed with numerous tourism products. Traditional beach tourism, exotic safaris and the budding MICE business tourism, etcetera; the package is diverse while still possessing room for enhancement. Tourism contributed 3.7% to the country’s GDP in 2017 and is expected to reach about 8.9% by the end of 2018. I believe that strategic use of technology will go a long way in enabling the realisation of this forecast. A case-in-point is the use of location apps to innovatively make destinations accessible, incorporating online food ordering and efficient delivery systems for the catering service providers. 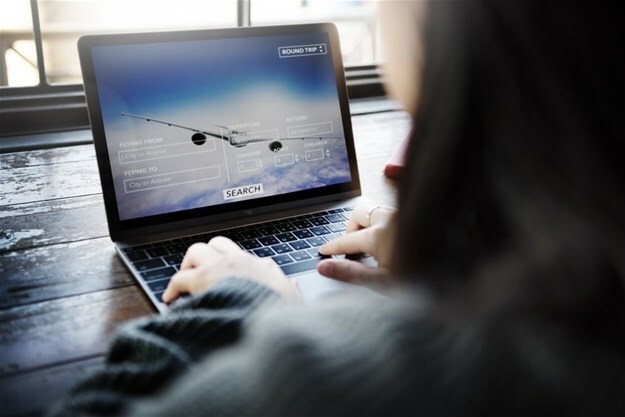 Not forgetting the use of technologically cognizant OTAs (Online Travel Agents) by hoteliers and airlines to increase online visibility, provision of quick, comparative and seamless ticketing, booking, check-in and check-out processes. There exists numerous areas in the entire value chain where innovative technologies can and are already impacting the demand, and now is the opportune time for tourism stakeholders to invest in innovative solutions in order to reap big from the tourism gold mine. The main objective is designing and implementing initiatives that support the growth of the tourism industry. Consider options such as the use of big data and digital services to market the diversity of tourism products; like promoting a destination’s culture, traditions, and history. This will ensure long-term sustainability and profitability of the sector. The use of technology to design diverse and innovative tourism products will no doubt play an imperative role in positioning Kenya as a leader in tourism not only in Africa but worldwide. International arrivals to the country will, as a result, keep growing to surpass 1.4 million in 2017, and tourism expenditures will exceed the $1.2bn earned in 2017.